To say that we were in love with the Xperia XA1 might be an overstatement, but let's put it that way - we did have a strong positive sentiment about Sony's compact midrange smartphone. 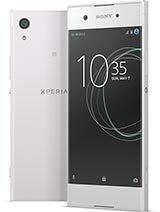 Following the same recipe, Sony has now created the Xperia XA1 Plus. As the first 5.5-inch device in the series, the XA1 Plus slots in one of the most popular display diagonals. It's not as bulky as the Ultra, yet it has more screen real estate than the plain XA1. And while those two lack a fingerprint sensor, the Plus checks that box too. Battery life is the true defining feature of the Plus compared to its siblings, but also to the majority of competitors out there. The generous battery capacity coupled with the 16nm Mediatek chipset results in a triple-digit endurance rating in our test - we don't get too many of those. Here's the usual round-up of review findings for you, before we proceed with a few worthy alternatives of the Xperia XA1 Plus. Customary Sony design, marginally better use of space than the flagship XZ1, slightly worse than the other two XA1s, but with a fingerprint reader to show for the thicker sides. The display posts excellent numbers for brightness and contrast, but is less impressive when it comes to legibility in bright light and color rendition (cyan-tinted whites). Great battery life (102h rating), particularly impressive web browsing times (15:31h) and good voice call and video playback numbers. Vanilla Android with the most subtle of Sony customizations should please purists. However, Nougat 7.0 is pretty old now, and Sony does have phones running Oreo already. The Helio P20 delivers adequate performance, comparable to competing chipsets in the power-efficiency targeted segment - whether it's the Exynos 7870, Snapdragon 625 or Kirin 658. There are no stereo speakers, but the single loudspeaker pumps out more than enough decibels for an Excellent mark in our tests. 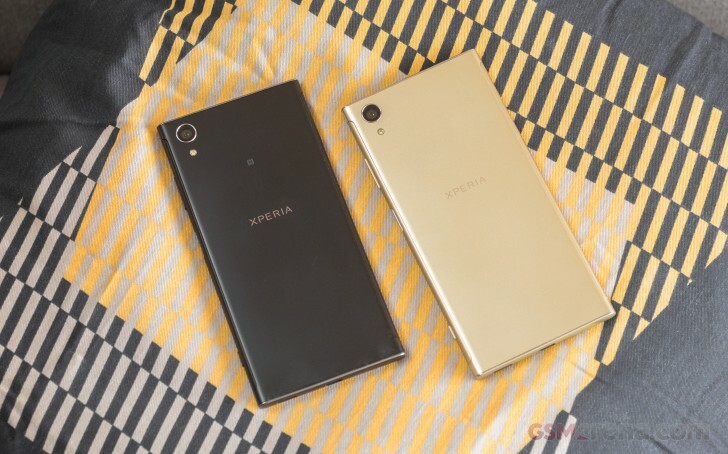 The 23MP primary camera we never truly loved in Sony's past flagships is a good fit for the midrange Xperia XA1 Plus, delivering plenty of detail, pleasing colors and wide dynamic range. The 8MP front-facing shooter focuses slightly closer than arm's length, but that aside, it captures nicely detailed selfies with decent dynamic range and true to life skin tones. The XA1 Plus' videos are usable in a pinch, but that's about it - detail is pretty low for 1080p resolution and many Snapdragon 625 competitors can capture 4K videos, unlike the Plus. 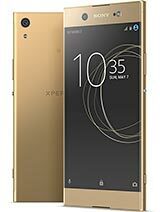 As part of the XA1 lineup, the Xperia XA1 Plus should perhaps first be compared to its siblings. Most things being equal, the Plus sticks out with battery life and fingerprint recognition. The smallest 5-inch XA1 proper should be on the short list of folks who value portability the most, obviously. The Ultra, on the other hand, is a top pick for media consumption thanks to its 6-inch screen, and it also stands out as the best selfie shooter among these three - its 16MP camera with a front-facing flash is superior to the flashless 8MP units of its stablemates. The Xperia XA1 Plus should keep an eye on another Plus, the Moto G5S Plus. 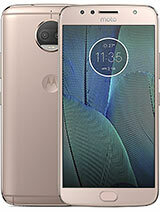 They are quite evenly matched in a number of areas, but the Moto has a couple of cameras on its back and it can record 4K video - the Xperia has no answer to either of these. The XA1 Plus should have the upper hand in endurance in light of its extra battery capacity, though we can't be entirely certain since we haven't thoroughly tested the GS5 Plus yet. Samsung, being Samsung, has a ton of options for you in the XA1 Plus' segment. 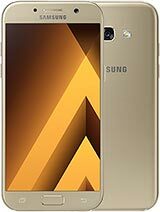 The most obvious one appears to be the Galaxy A5 (2017). It may have a smaller 5.2-inch display, but it's an AMOLED unit. The A-series for this year are IP68 dust and water resistant, the A5's chipset is a notch more powerful, and the Galaxy can also challenge the Xperia on battery life. The XA1 Plus is promised to get Oreo, however, while the A5 could potentially end up on Android 7.0 for good, seeing as how it launched on Marshmallow. The Nokia 6 is Nokia's middle ground and it matches the Xperia XA1 Plus in display size and resolution. You'd be saving a few bills if you go that route, but the 6 is running on a lower-tier Snapdragon 430 chipset and can't compete with the Xperia in neither endurance nor performance. Perhaps only Nokia fans can stand up to Sony fans when it comes to brand loyalty, though, so maybe this dilemma is no dilemma at all. 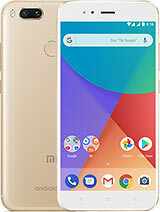 If you're a little more adventurous, you can opt for the Xiaomi Mi A1 - a global Android One device. Fastest OS updates aside, the Mi A1 also features a dual camera on the back, complete with a portrait mode, and 4K video recording - no such goodies in the Xperia. The Mi A1 also comes with twice the Xperia's internal storage, at 64GB. It's also cheaper. Crowd-favorite display size, a large battery, fingerprint reader straight from the higher-end models - seems like the Xperia XA1 Plus is the XA1 to have. Plus, it shares the other strong points of its immediate kin - the once-flagship 23MP camera does a fine job for stills, and the 16nm Helio P20 chipset strikes a great balance between performance and efficiency. If you want a midranger outside of Sony camp, there are plenty of options. Inside it - the Xperia XA1 Plus stands out.